1) What does jazz music mean to you? To your community? Jazz is the type of music I’m discovering at maturity, but it’s also a style that has been present in my life more than I imagined, through films and advertising. That’s the reason why we have made this podcast, “En Versión Jazz”, with 15 hours of nonstop music in more than 30 programs, full of jazz covers by people from all over the world who shared their songs on the internet. “En Versión Jazz” expects to bring this musical genre closer to people who, a priori, wouldn’t listen to it or wouldn’t attend a jazz concert but would love to remember the best melodies from The Beatles, Guns and Roses, Michael Jackson, Beyonce or Adele. “In jazz version” adheres to the International Jazz Day with a special program #Jazzday. 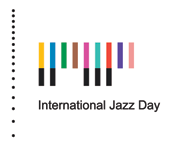 2) Why are you celebrating the International Day of Jazz? Why is it important? 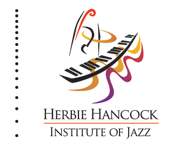 During the documentation process we’ve confirmed that the jazz has been the music of several generations, being the fusion of different musical genres and times. We’ve also verified the importance of cooperation among musicians. 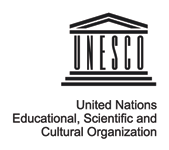 Jazz is an alternative to uniform music succeeding all over the world, a reference of cultural diversity. 3) What do you expect to celebrate on this Day? The promotion of jazz is a review of human history in the last century: cinema, politics, human rights or the role of women. As this day becomes more popular in the long term, we hope it’ll be not only a day of cultural diversity, but also a global project for mankind as a whole. A huge representation of what we can achieve when working together.